Due to my hectic schedule, I have not been able to blog as often as I would like to. However, I thought it best to share with you the highlights of my last two weeks in pictures. 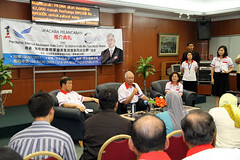 Was glad to respond to questions from young inquisitive minds. 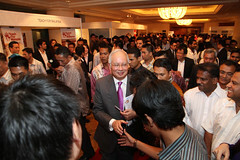 I met and shook hands with the attendees of the event. 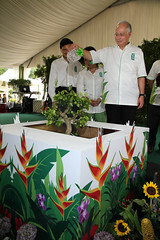 It was a lovely day to officially open Taman Botani Perdana. 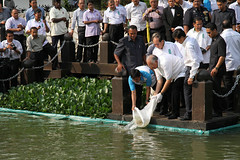 Fish fry were released in the garden’s lake. 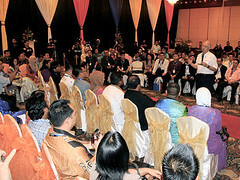 A group photo with my online friends from Sabah who attended the event. I always try to answer as many questions as possible at these events. 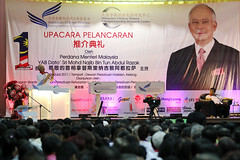 The event was held at Sutera Harbour, Kota Kinabalu. I launched the River of Life project which I hope will bring new life to our rivers and economic spillover like those in other countries. 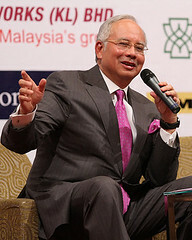 Sharing a light moment with Datuk Raja Nong Chik. 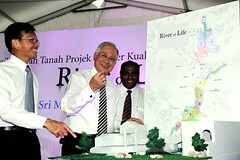 I was briefed on the River of Life project at the launch site. The River of Life project is for our future generation. My online friends from Kelantan met me in Kota Bharu for the sixth leg of Mari Berjumpa Mari Berhubung. I spoke to a very attentive crowd. 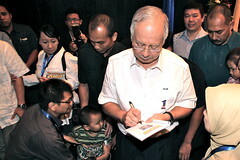 I received a warm welcome from my online friends in Kelantan. 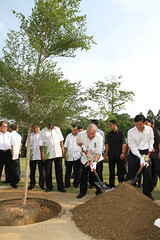 Ground breaking ceremony of the 1Malaysia Housing Project. 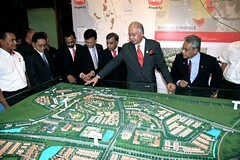 This is the kick-off project which will provide affordable homes to many more Malaysians. A group photo with the organising committee, selected guests and performers. Over the years of having the pleasure of watching many performances, I have come to appreciate the Temple of Fine Arts as an organisation dedicated to the development, propagation and enrichment of the performing arts, with a special emphasis on Indian classical dance and music. 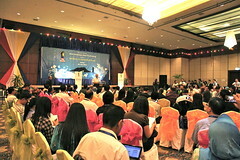 I was invited to the launching ceremony of the foundation. What they hope to achieve is very noble. 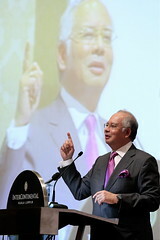 Speaking to reporters at a press conference during the launch. 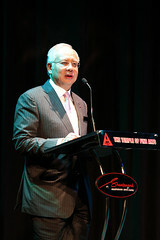 I hope to see more women entrepreneurs emerging with the help from the foundation and the grants it provides.